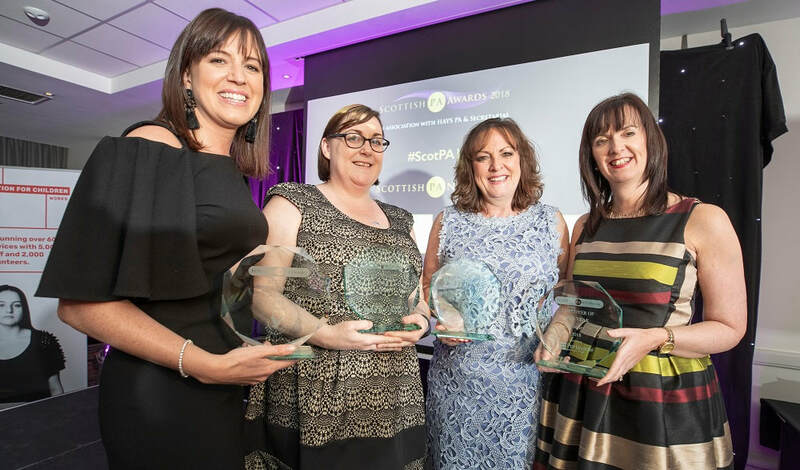 The Scottish PA Awards recognises talent in the PA profession in Scotland. Scottish PA Network in association with HAYS Personal & Executive Assistants are proud to invite you to be part of this prestigious annual Awards Dinner on 16th May at The Grand Central Hotel, Glasgow. Join your peers and industry colleagues to celebrate the PA profession in Scotland at this must attend event. Be sure to book early to secure your tickets. evening’s charity for which raffle tickets will be on sale through the evening. Rosemary started her career temping in London for Channel Four, and progressed to working for Sky Sports for five years and then Melvyn Bragg’s South Bank Show. Following her move back to Scotland she worked in hospitality for hotels and resorts. Rosemary thrives on the strong relationships she has built with PAs, managers and top level executives. The network was set up to connect assistants with each other and the wider business community. Scottish PA Network has a busy annual calendar of events including networking evenings, training, showcase exhibitions and the Awards. Roddy has worked for Hays Office Support and PA & Secretarial for 16 years across a number of sectors. He currently leads a team of specialist consultants across the UK with particular focus on the PA & Secretarial market. The PA role is constantly evolving to keep up with demand and technological innovation, with PAs now providing vital operational support, often taking on functions beyond the traditional PA role. Roddy believes that this is an exciting time for PAs who know what skills to develop and how to make the most of them.